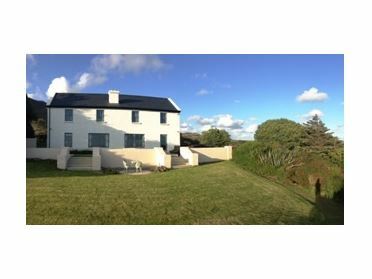 Beach House Mannin is perched high overlooking Mannin Bay with breathtaking views of the Atlantic Ocean and Countryside. 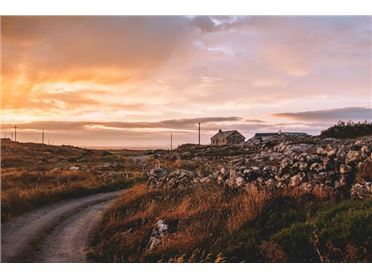 Just stroll to the end of the gate and here you will find a stunning white sandy beach where one can enjoy a stroll or for the more adventurous enjoy a morning swim. 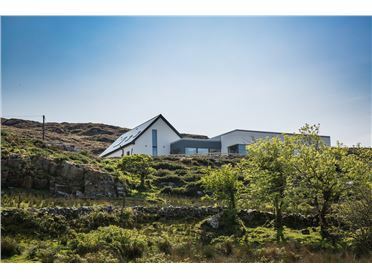 If your ideal holiday is tranquillity, stunning scenery and luxurious comfortable surroundings you will love this contemporary house which takes full advantage of the stunning surroundings. 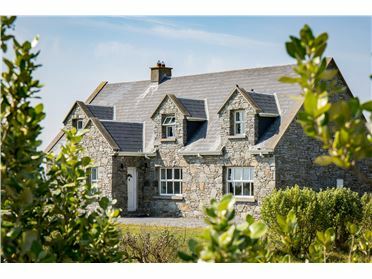 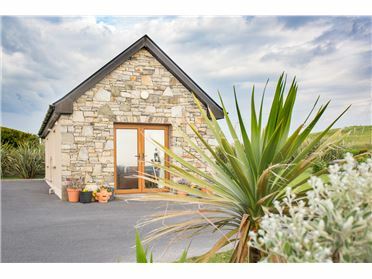 This spacious 'home away from home' is a haven of tranquillity, yet less than 2 miles from Ballyconneely Village or a 15 minute walk to The Connemara Sands Boutique Hotel with it's bar & restaurant. 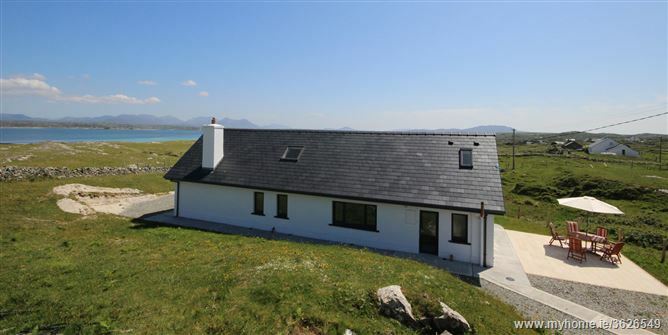 This holiday home is a fishermanâ€™s delight and a kids dream location having a sandy beach on it's doorstep. 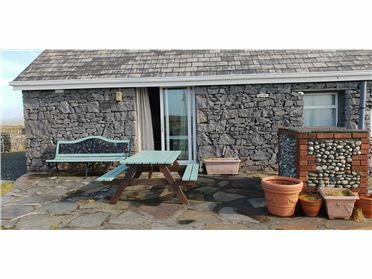 Whilst the kids are sailing on their dinghy boats or swimming in the bay or crab fishing off the rocks you can sit back relax and enjoy a glass of wine outside on the sun lounger before preparing the BBQ. 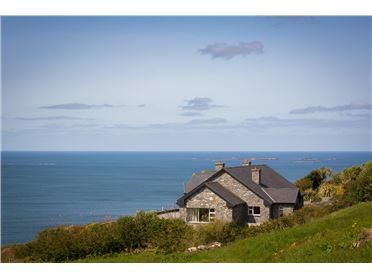 You will be enthralled by the continuous view of nature, with sea and mountains changing colours as the day goes by and based along the Wild Atlantic Way. 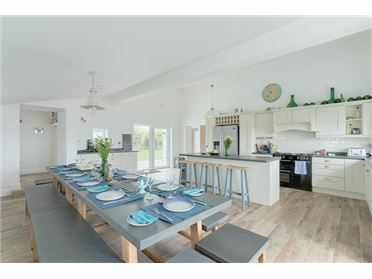 The Beach House, is designed to capture the natural light, is uncluttered, yet comfortable with cushions, rugs and throws added to make your stay welcoming and memorable. 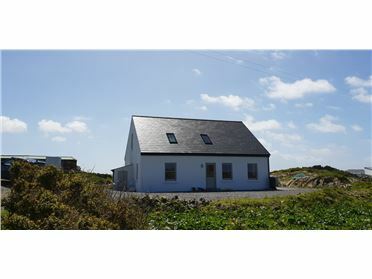 Directly across the road take a leisurely stroll to Mannin Bay, you have a stunning white sandy beach with breathtaking sea and countryside views. 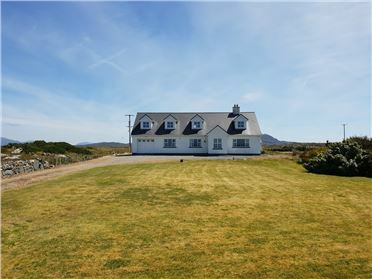 Less than a 15 minute walk is a small boutique hotel, The Connemara Sands, where you can enjoy a cocktail, have a spot of lunch or enjoy fine dining one evening. 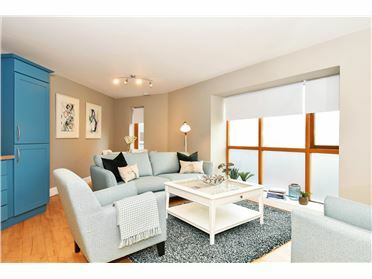 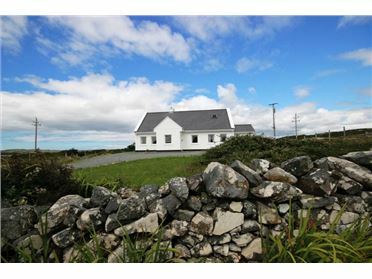 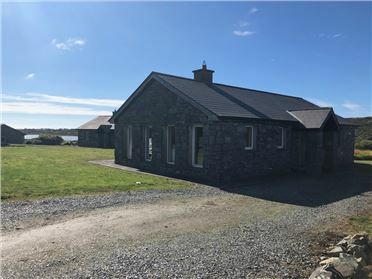 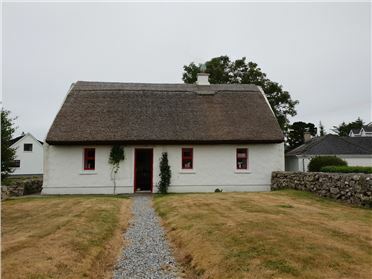 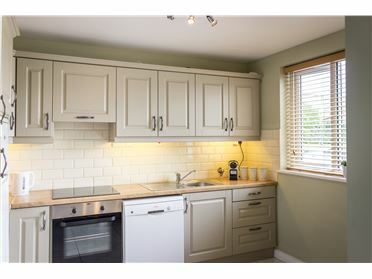 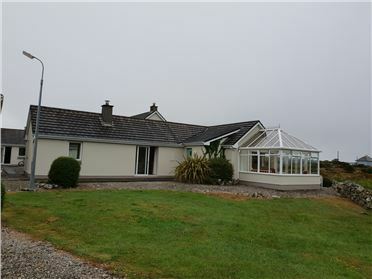 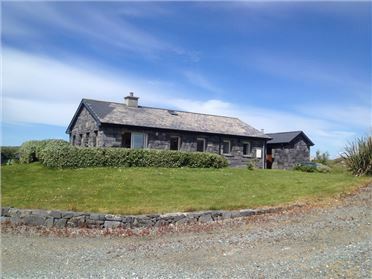 Stylishly furnished and offering commanding views, this house is the ideal base for visiting Connemara, Westport, Aran Islands and Galway City. 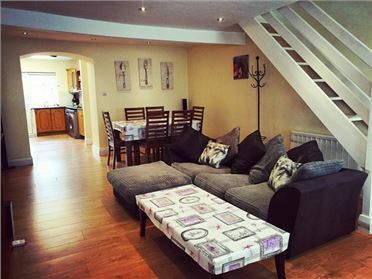 There is ample space for 8 to 10 guests. 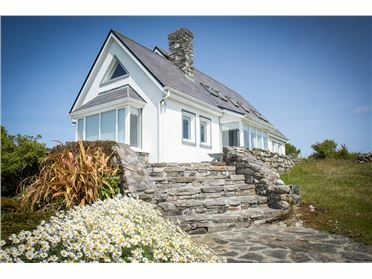 Each of the bedrooms has stunning panoramic views over the bay, two of which are ensuite. 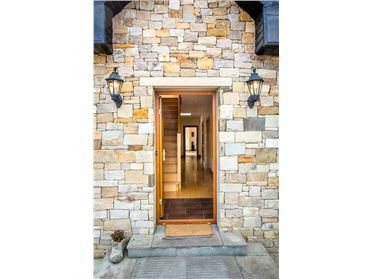 An open fireplace, stunning tiled and wood floors, great quality mattresses, this home is finished to the highest standard with all modern conveniences.